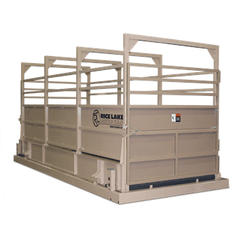 Rice Lake’s patented mobile design incorporates a low-profile weighing platform to enable faster and easier multi-site livestock weighing. 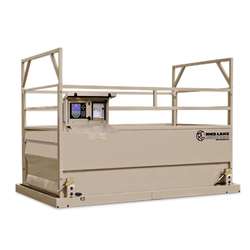 The MAS-P’s patented design consists of a rubberized deck and pen sides, suspended on load cells at four points within a portable base frame. 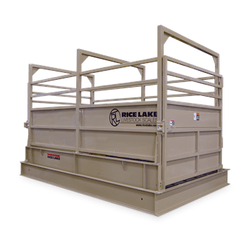 The SAS single animal scale is Rice Lake’s answer for livestock weighing environments that prefer single animal weighing. 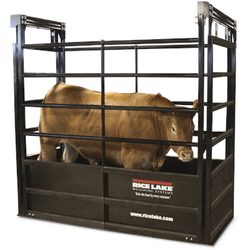 The SLV offers the features of a RoughDeck® floor scale modified to meet the demands of livestock weighing. 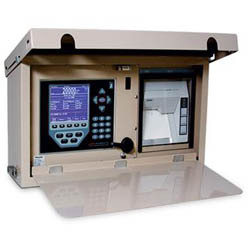 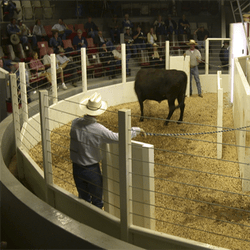 This Livestock Weigh Center features a built-in 920i indicator and ticket printer in a weatherproof enclosure. 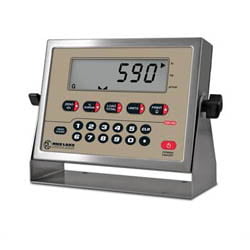 The 920i® Livestock Indicator can be equipped with Group Weighing or single animal Rate of Gain software. 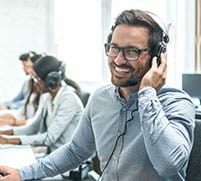 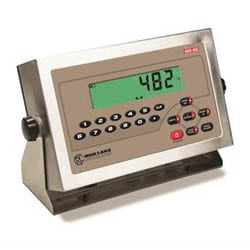 With its USB port, animal weight results can be transferred to a flash drive and uploaded to a PC database or spreadsheet. 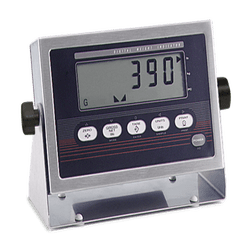 Rice Lake’s dual-power 482-AG livestock digital weight indicator is the ideal Legal for Trade indicator for the ranch or farm. 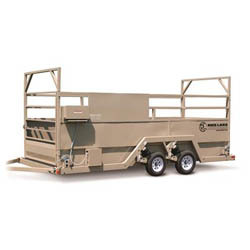 The 482-AG is specifically programmed for animal handling needs. 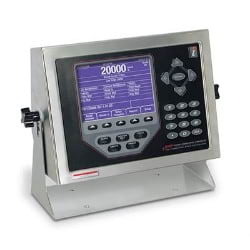 The 390-DC’s optional Live Weigh software accurately measures animal weight for non-Legal for Trade needs. 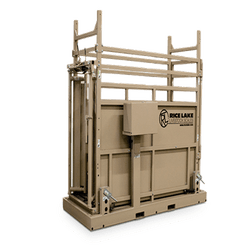 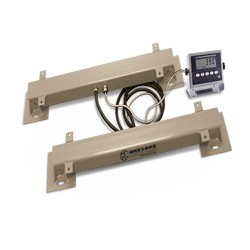 Rice Lake’s dual-power 590-AG Livestock Digital Weight Indicator is the ideal Legal for Trade indicator for the ranch or farm, programmed for the specific needs of animal handling.